I recently returned from a two-week trip to Nepal as part of the Communities Connecting Heritage program, sponsored by the U.S. Department of State with funding provided by the U.S. Government and administered by World Learning. I traveled to Nepal with students and teachers from the Regional Center for the Arts, RCA, (Trumbull, CT) where we met ten students from the Mandala Theatre Youth Camp (Nepal) for the first in-person component of our Cultural Heritage Preservation program. The experience was magical and life changing. Here’s a look at the program and our time in Nepal. In early April, Nepali students will travel to Connecticut where they will stay, study, teach and perform for two weeks. After a 19-hour flight from JFK, the ten young Nepali participants gave us a warm welcome, serving us a meal of traditional foods they made at their homes. As our exchange was supported in part by the US State Department, we were invited to the US Embassy to meet Ambassador Randy Berry. He told us that these types of exchanges were often the glue that helped keep US-Nepali relationships steady, even in time of political disagreement. Towards the end of our first week, we traveled to a remote village with soaring views of the Himalayas where we were housed in "homestays" in farm houses by the most hospitable villagers with goats, chickens, water buffalo, organic Nepalese food, and terraced fields of brilliant orange mustard flowers. Best of all was the invitation to a special community participatory entertainment with traditional music, singing and dancing by local adults and children and our students. It was a true insider’s view of a compelling life so much simpler than ours back home. The second half of our trip was a rewarding experience for everyone, including the RCA (US) and Mandala (Nepal) students and teachers and the 100+ local middle/high students they worked with. We spent four days visiting local schools where we conducted “Preserving Cultural Heritage” workshops and performances. The RCA and Mandala students facilitated each workshop, helping the local students turn their own oral histories into expressive theatre pieces. The culmination of our trip was a joint performance that opened Mandala’s 8-day International Theatre Festival. The students acted, sang, and danced with one another to a packed house like true professionals. This exchange was incredible, with a wonderful group of students, leaders, and a country where cultural heritage is evident almost everywhere. It epitomized the work and mission of Creative Connections–to use the arts to build bridges of cultural understanding and true appreciation between young people around the world. 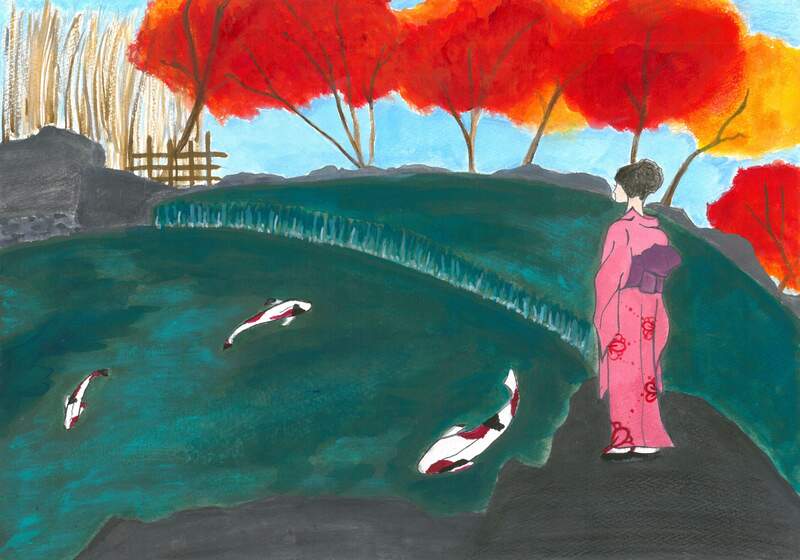 I hope you’ll come to our April 7th event in the Multimedia Gallery at Stepping Stones Museum for Children. 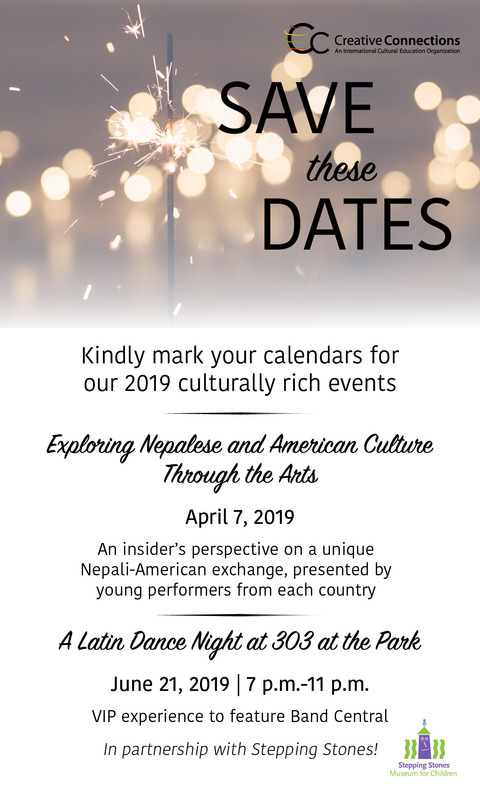 It will include an opportunity to meet the Nepali and American students and teachers, hear impressions of their work together, watch some of the performance pieces, and participate in an interactive “image theatre” workshop. More information on the event is available here. 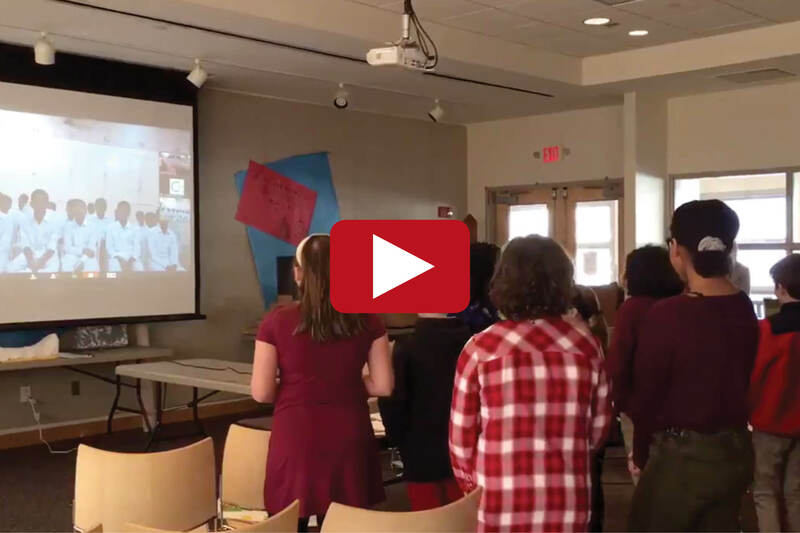 A 6th grade class at Wooster School (Danbury, CT) held a live video conference with their partner class from India as part of our ArtLink program. The 6th graders sang "A Million Dreams" for the students in India. Watch the video below.